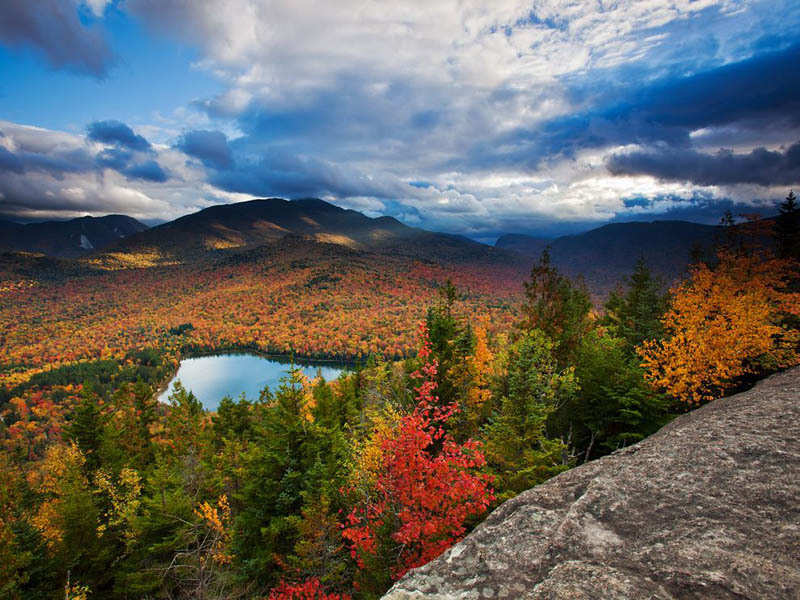 The Adirondacks are well known for being a photographer’s paradise. Visitors have been drawn to photography here, as with many other beautiful sites in the world, but with a difference: this is our place, those are our paths, our trees, our mountains, our towns, our neighbors. Whereas photography used to be a matter of specialists, now it can be as instantaneous as the fleeting moment the shutter opens. It’s less than an eye blink transformed into pixels. This collection of data becomes a glorious vista, a starry night sky, a pine marten’s bold face. But what hasn’t changed over time is how the human eye and brain work together. Whether we’re looking at a loon or a landmark, light hits the retina, is carried by the optic nerve to the brain and the information coalesces into a scene we can comprehend. Beyond the simple translation of impulses is the element of surprise, the spark of creativity, the sense of wonder. Seeing is believing. On this page, we offer many perspectives and reasons to believe in the power and beauty of the Adirondacks… of the exciting past, the rewarding present, and the promising future. Hereunder are local resources and a list of the area’s top photographers with link to their websites.